(UNION TOWNSHIP) – A two vehicle crash at 9:35 Monday morning injured a Coldwater woman. 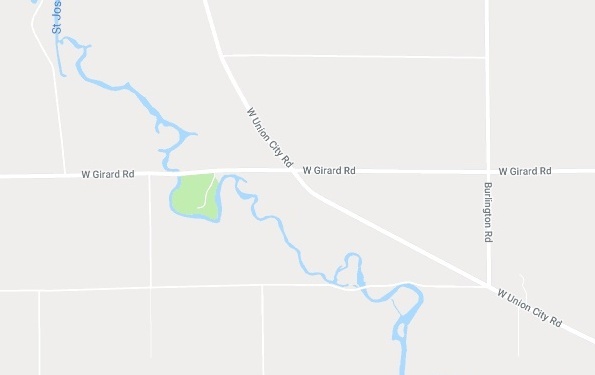 According to the Branch County Sheriff's Department, 82 year old Howard Streeter of Sherwood was driving west on Girard Road and was struck by a north bound vehicle on Union City Road, driven by 63 year old Salinda Ash. Ash was taken to ProMedica Coldwater Regional Hospital where she is listed in serious condition. Deputies did not say if Streeter was injured in the crash. The Union City and Burlington Fire Departments along with Life Care Ambulance were also called to the scene. The incident remains under investigation.